Now is the time for reflecting upon 2017, and contemplating the milestones we’ve accomplished during the past year. Reflection for our team often leads us to discuss our favorite pastime: food. We ask ourselves, What was your best cook this year? Or Which new recipes were your favorite? And of course What new grilling techniques did you learn? Have you looked back on your year of grilling yet? Let us help you: With our crystal ball, we can see statistics that tell us you (our readers!) have much to be proud of. You broke new ground this year with homemade bacon, explored ways to use popular smokers, and dove head first into cold-smoking techniques. Our most popular recipe of the year found our readers selecting and smoking pork belly more times than ever before. Whether you’d been using the Big Green Egg for years and needed a refresher, or you were a recent convert and needed help getting started, these tips for the popular ceramic cooker helped you up your game in 2017. Pork loin isn’t a new cut of meat, but what IS new is this adaptation including a tangy, sweet sauce with a hint of whiskey. It dazzled thousands of tastebuds this year; if you haven’t tried it yet, get on board! 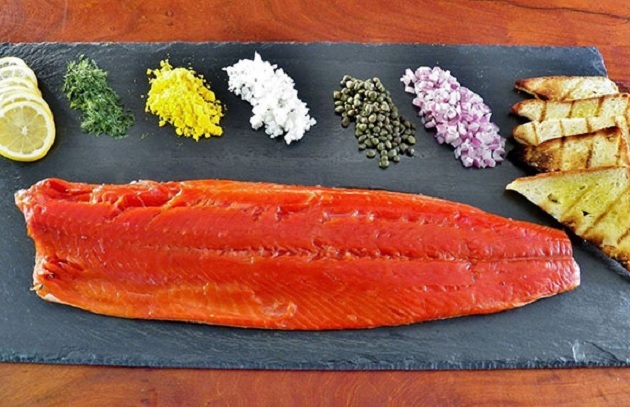 With the number of you reading and using this recipe for Cold-Smoked Salmon, we know that cold smoking has become almost as popular as its hotter component. The method is perfect for this dish. Making its second appearance on the list, this cure for homemade bacon converted many of our readers into true believers that curing meats at home is the way to go. Do you have a favorite grilling endeavor from 2017? Or an a goal for 2018? Share it with us on the Barbecue Board or on Facebook. An easy way to chronicle your grilling and smoking adventures during the coming year: write them in your log book.